This Blogger: Age 11 Months, originally uploaded by esserboo. 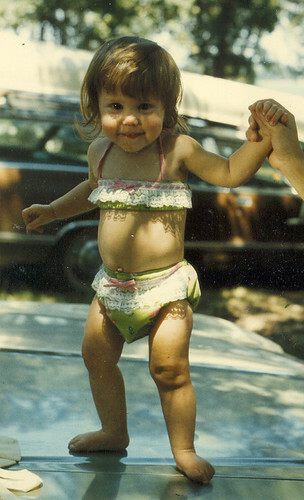 And here's about the cutest photo ever of me, just barely walking. Looking quite cute with chubby thighs and an ill fitting bikini. How come baby fat is so cute on babies and not so much on 33 year olds? Sigh.